You guys: it’s all happening! On Wednesday, we will release our first 100 Days of Summer Writing — a slide deck of 100 slides to inspire writing over the summer, instructions for how to participate yourself, and instructions for how to get your students involved. 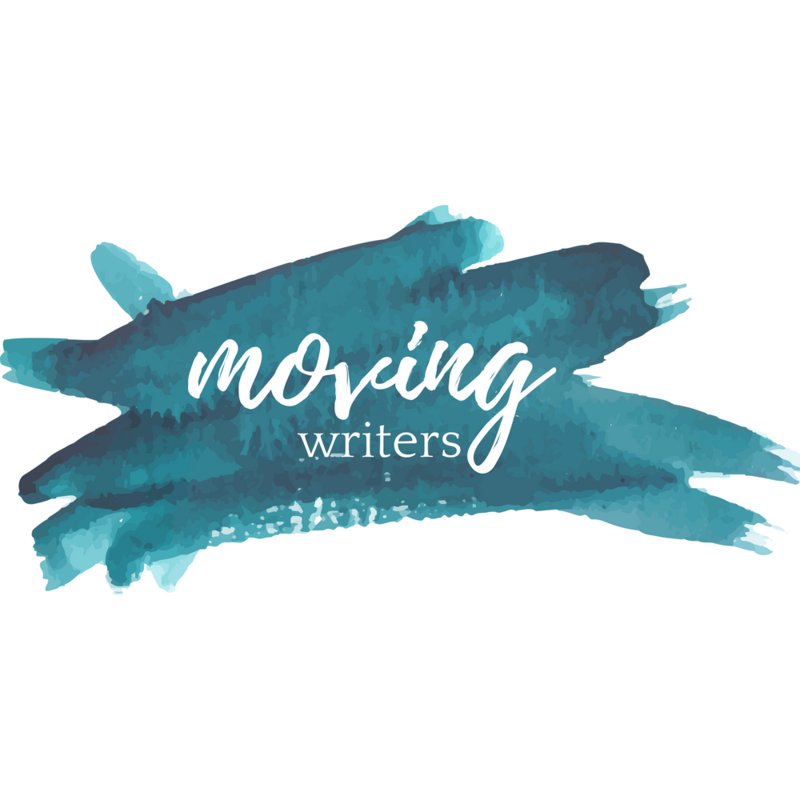 Over the next two weeks, the writers here at Moving Writers will be sharing posts designed to give you ideas for using this in your summer assignments, challenging your students to commit words to paper (or screen) on their break, and to pump you up to join a growing community of teacher writers. If you already use Notebook Time with your students, they will be ready to jump in with the 100 Days. But, if you don’t already use Notebook Time with your students, it’s not too late! If you can give up just ONE class period before summer break, you can introduce your kids to Notebook Time and get them ready to write this summer! Today, what I’m sharing here today is a lesson plan that I will be using in week or so with the sixth graders in my building who have not yet practiced notebook time but who will be invited to join in the summer writing bonanza! Before we get to the lesson, though, let’s chat for a quick second about Notebook Time in general. We have a number of posts about this on Moving Writers, but here’s the very most important thing to remember and impress upon your students: this isn’t about creating whole, polished pieces of writing. This is about 10 minutes of risk-free PLAY. This is about building muscles and building stamina. Notebook time is about trying something new. Sometimes it’s great. Sometimes it’s awful. Both outcomes are a success here. To enjoy this, students need the invitation to simply try — to create bad writing, to create nonsense, to create a terrible drawing, to write a nonsensical metaphor. And we are the ones who have to issue that invitation explicitly. Otherwise, this will become one more assignment. Homework by another name. This lesson should take you around 45ish minutes. It will help students understand what Notebook Time is, why we do it, and some of the possible outcomes. They will also get a chance to try a couple of Notebook Time invitations from the 100 Days of Summer Writing! Begin by asking students what you would need to do if you wanted to build muscle and get stronger? 2. Tell students that writing is exactly the same — to become better writers, we need to build bigger, stronger muscles! We need to write regularly, we need to write increasingly more challenging pieces, we need to write a variety of things! And this is what Notebook Time can help us do; it’s writer exercise! 3. Tell students that when we do Notebook Time, we use a variety of mentor texts to inspire our thinking and writing — images, illustrations, charts, maps, statistics, poems, sentences, passages from books, etc. The purpose of each one is to help us find new ideas and try new things in our writing. 4. Share the chart on Slide 5. (Pictured right). Student can copy this into their notebooks or you could print smaller versions for them to glue into their notebooks! As you talk about this with students, emphasize that these questions are meant to stimulate their thinking — they are not meant to answer every question! This isn’t a checklist! If one idea keeps them going and thinking and writing for 8 minutes, that’s great! But if they need a nudge, these questions are here for them! Additionally, if a writer ever wants to go totally off-chart and use the Notebook Time invitation to do their own thing, write in their own unique direction, they should! 5. Next, tell students that you want them to see what this looks like in action! Writing out your thinking rather than stopping to think and THEN writing. Filling the time with WORDS. Messy thinking — scratch outs, incorrect spelling. Tangents are good and sometimes surprisingly productive! Often, that’s where the big ideas come from! Revision — you don’t only write forward. Sometimes you pause, go back, add something in, change a word, and then move on. 6. After you have modeled, have students share what they noticed. If you can afford a little extra time, you might even chart their noticings on chart paper/in their notebooks — this can be a go-to guide for their own writing this summer! Title your chart “Notebook Time Writers …” and then bullet what a writer does during notebook time. 7. Now it’s time for everyone to go together! Share the map from Slide 9. Direct students back to the chart of questions in their notebooks, and solicit thinking from the class. Write what you hear students saying on the board! Again, set a timer for 7 minutes. This is important because our best thinking typically comes when we have been in the writing zone for a few minutes. If writers stop when the first stream of ideas stop, they’ll never get to the really good stuff! Push students to fill the time with their thinking. If they have a lull, jump in to keep the thinking-and-writing going! 8. Congratulate the group! You’ve done it! Ask for any new observations about what a writer does during Notebook Time. 9. Now they are ready to try one on their own! Remind them of the things they have observed about Notebook Time writing, the chart to support them in their notebooks. Set the timer. As students write, write yourself! Modeling the messiness of new thinking in writing is powerful for students and demystifies the idea that writing is easy for some people. It’s never easy. 10. After students have worked through the Lin-Manuel Miranda Twitter-poem, read what you have written on the board. Ask for other volunteers to share. 11. Congratulate your writers again — this is all it takes! They’ve done the thing, so they can do it again! Ask for any lingering observations or questions! They are READY! Alright! That’s all there is to it! Join us for the next few weeks before summer as we help YOU and your students build writing muscles all summer long! We can’t wait to unveil our 100 Days of Summer Writing on Wednesday! How have you introduced Notebook Time to uninitiated students in the past? What works to get your students started with Notebook Time? Leave us a comment below, find us on Facebook, or Tweet me @RebekahODell1. Are you doing this again this summer?